Being a crafting queen can be hard work, especially if you have a craft room that is unorganized. Craft supplies everywhere can really make you feel overwhelmed and even feel like you aren’t enjoying yourself while you craft away. 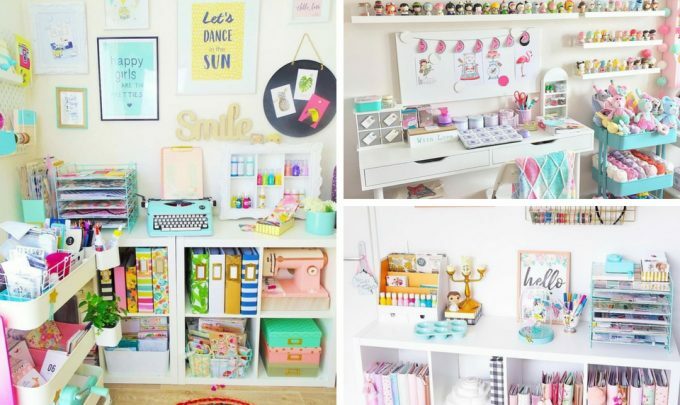 Check out these 12 Drool Worthy Craft Room Ideas That Will Make You Drool over at Crafts on Fire. These organization tips and tricks will help you create a craft room that you will fall in love with.